A US firm claims to have designed the world's first antimicrobial touch screen glass which can combat bacteria and fungi. The firm Corning said its Antimicrobial Gorilla Glass is formulated with an antibacterial agent, ionic silver, which is incorporated into the glass surface for sustained activity. The glass can be installed in electronic devices such as computers, cellular phones, calculators, telephones, and other electronic display panels, the company said. 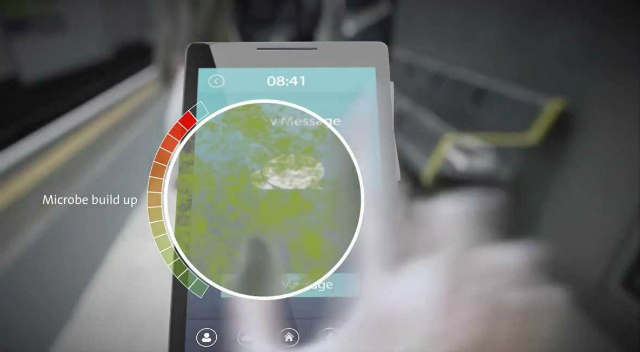 According to Corning, as touch technologies proliferate, consumers are becoming aware of how bacteria can exist on mobiles. "Corning's Antimicrobial Gorilla Glass inhibits the growth of algae, mold, mildew, fungi, and bacteria because of its built-in antimicrobial property, which is intrinsic to the glass and effective for the lifetime of a device," said James R Steiner, senior vice president and general manager, Corning Speciality Materials.